Kitesurfing with us is more than a normal kitesurfing course. Get ready to experience some serious fun & action in the ocean! 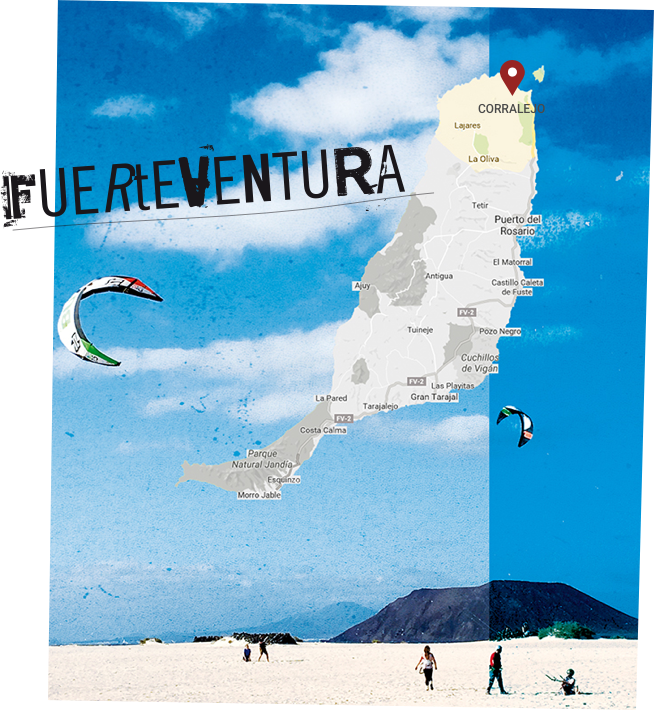 Flying you kite, riding the ocean with the sun in your back and the salty spray in your face, thats Kiteboarding in Fuerteventura! 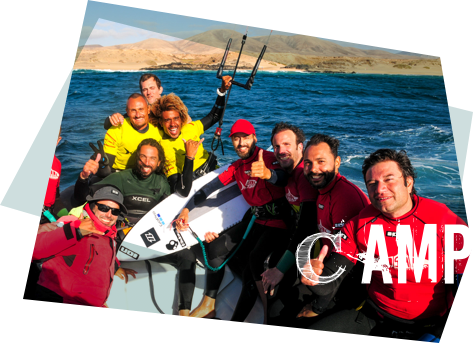 Kiteboarding combines the adrenaline and technics of surfing, windsurfing, wakeboarding and snowboarding. Its great fun and very easy to learn, especially with our KiteBoat lessons. Up for Kitesurfing, but you have no Kitesurf equipment or not the right kite size for the current wind conditions? No worry! In our shop Redshark, the latest range of North/ION Kitesurf equipment is waiting for you. Come and rent you equipment with us! 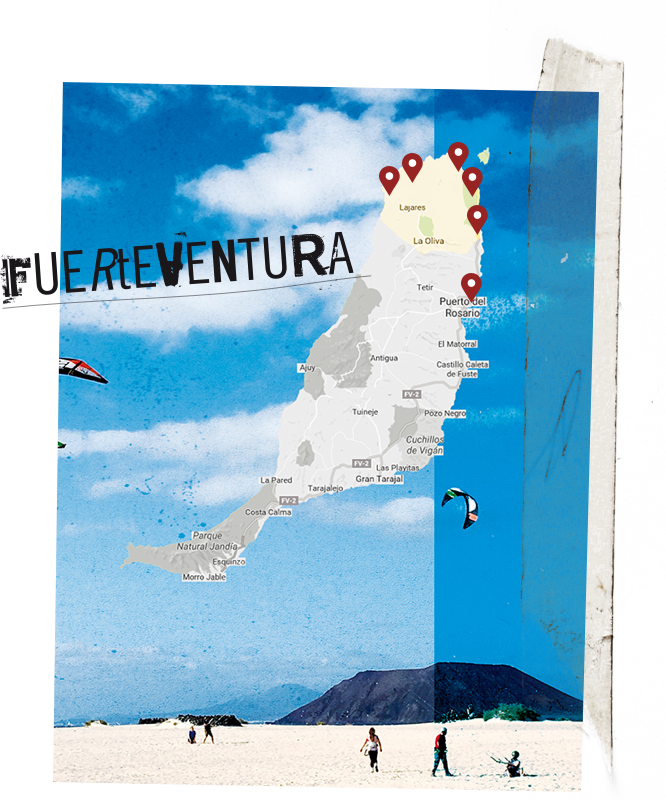 Learn kitesurfing in one of the best kitesurf spots in Europe. 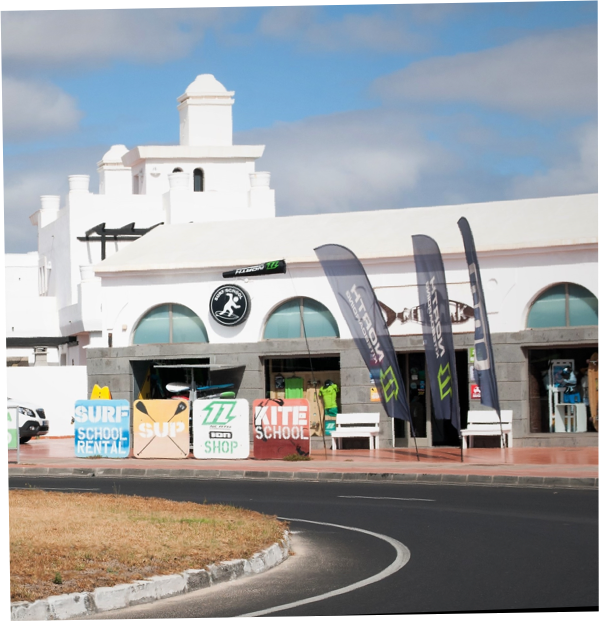 We are based in Corralejo, a lively tourist town and the perfect spot for Kitesurf in Fuerteventura. No matter if you are Kitesurf beginner or freerider, you will find the perfect kiteboarding spot for your level. 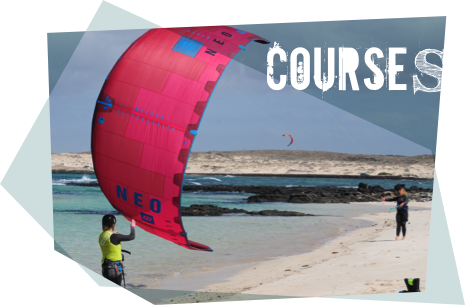 Depending on wind conditions, we operate our lessons by KiteBoat either near Flag Beach on the east coast or El Cotillo, west coast. For independent riders, there is Flag Beach, a 6 km Kitesurf beach with white sand and an amazing view over Lobos Island. WINDGURU: Check out Windguru to have the most up to date wind forecast for the North of Fuerteventura.